Wisdom of Life. : Have you ever wonder who loves you most? A professor gave his class (50% male and 50% female) two questions. disfigured in a freak accident, will he still love her? his money due to financial crisis. Will she still love him? losing their love when they lose their beauty. and woman had in the two questions? Did you all assume it was a romantic relationship between a man and a woman?" "Yes....are they not?" the class replied. 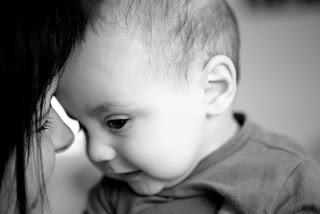 for question 2, a relationship between a mother and a son." PARENTAL LOVE IS UNCONDITIONAL & EVERLASTING . Perhaps now my son knows what parental love is, because he is a father of three growing children now. Son, thank you for sending such wonderful sharing. Your parents are so blessed to have you as their daughter & I'm so lucky to have you as my reader.